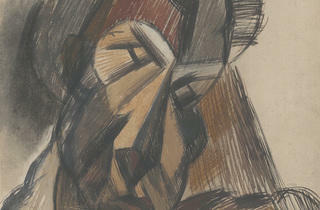 “Picasso and Chicago” recalls the artist’s local legacy. Photograph: Courtesy of the Art InstitutePablo Picasso. Sheet of Studies for the Chicago Sculpture IV-XI, 1962. Pablo Picasso. 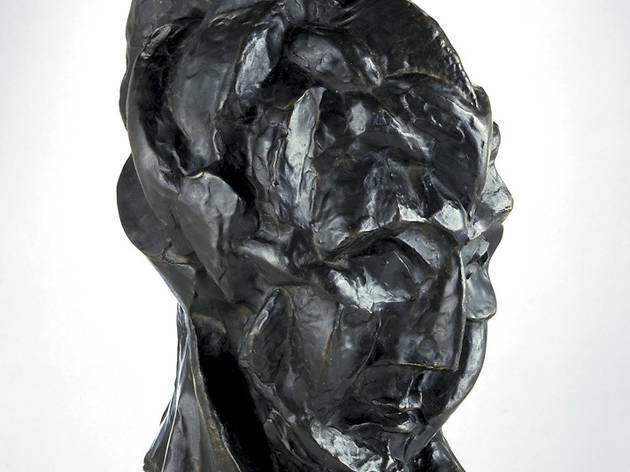 Head of a Woman (Fernande), 1909. Photograph: Courtesy of the Art InstitutePablo Picasso. Head of a Woman, 1909. Photograph: Courtesy of the Art InstitutePablo Picasso. Woman with Helmet of Hair, 1904. Bequest of Kate L. Brewster. Photograph: Courtesy of the Art InstitutePablo Picasso. 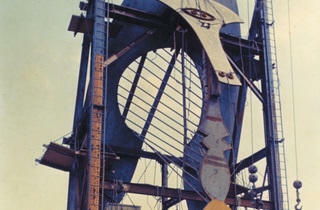 Maquette for Richard J. Daley Center Monument, 1965. Photograph: Courtesy of the Art InstitutePablo Picasso. 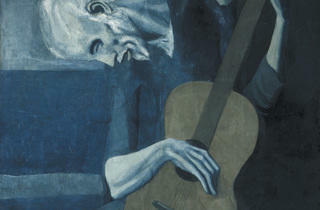 The Old Guitarist, 1902-04. The Art Institute of Chicago, Helen Birch Bartlett Memorial Collection. 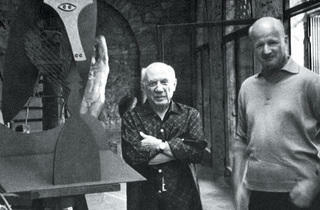 Photograph: � SOMArchitect William Hartmann with Picasso in Mougins, France, August 1966. 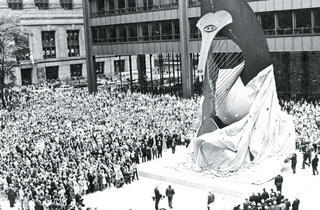 Photograph: � SOMPicasso sculpture unveiling, Chicago, 1967. Pablo Picasso (1881–1973) never visited the United States, but the Spanish artist still managed to make a big impact on Chicago. 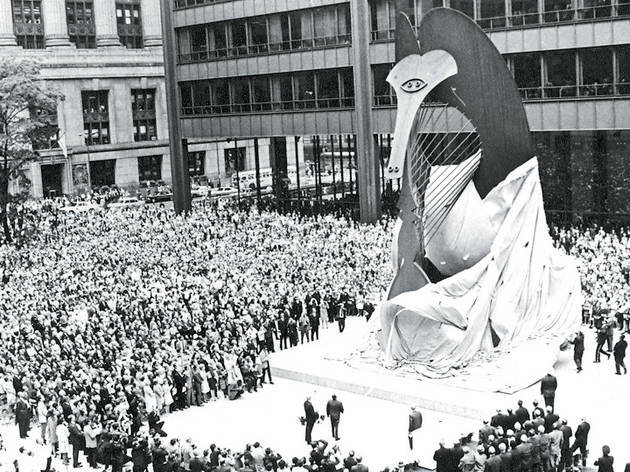 Without the influence of the Picasso sculpture in Daley Plaza, “we might not have the [public] art we have in the city today,” says Stephanie D’Alessandro, curator of modern art at the Art Institute of Chicago. 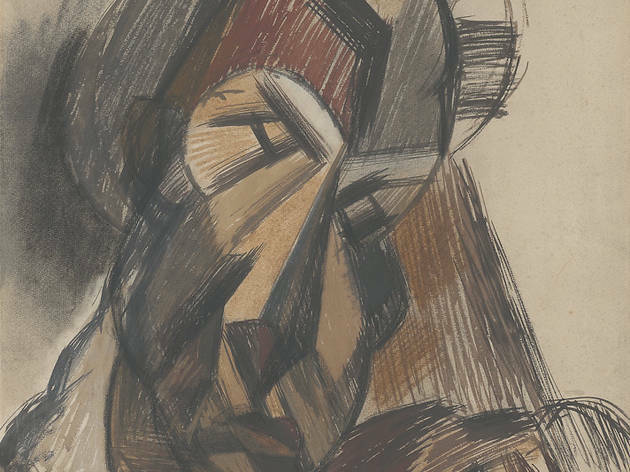 On Wednesday 20, the Art Institute opens “Picasso and Chicago,” which brings together more than 250 of the artist’s paintings, sculptures, prints, drawings and ceramics. 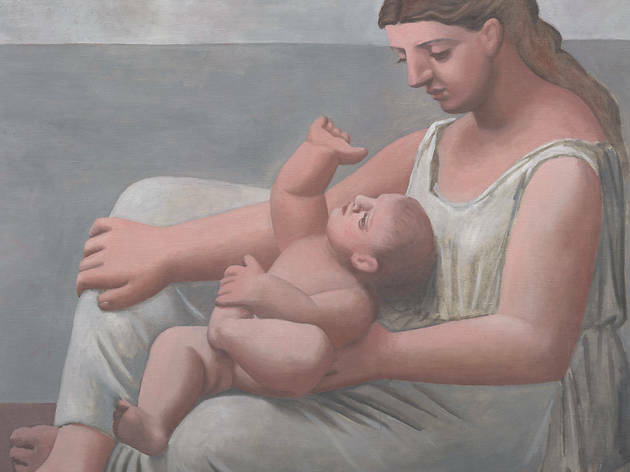 D’Alessandro, who curated the exhibition, and other Chicagoans recall Picasso’s surprisingly extensive local legacy. 1921 In November, the Arts Club of Chicago hosts “A Selected Group of American and French Paintings,” which features two works by Picasso. Arts Club president Rue Winterbotham Carpenter includes the artist in four other group shows and gives him five solo shows before her death in 1931. 1923 Robert Allerton, a businessman and Art Institute trustee, buys Picasso’s drawing Sketches of a Young Woman and a Man (1905) from Chicago’s Albert Roullier Galleries and gives it to the museum. It is the first Picasso to enter the collection. 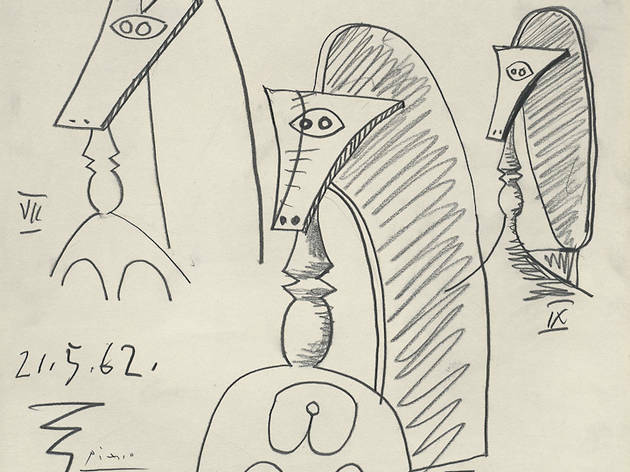 The same year, the Arts Club presents “Original Drawings by Pablo Picasso,” which includes 53 pieces made from 1907–21, at the Art Institute from March 20–April 22. The artist writes to the organizers instructing them how to mount and display his work. 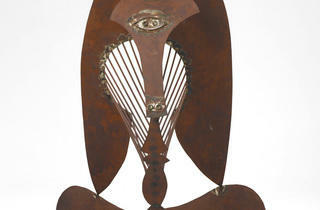 “That show is really special because Picasso had a hand in the installation,” D’Alessandro says. It’s his first solo exhibition in Chicago. 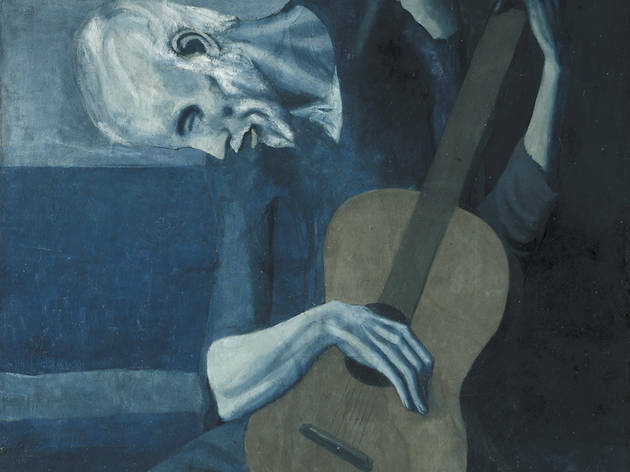 1926 Chicago artist Frederic Clay Bartlett donates Picasso’s The Old Guitarist (1903–04) to the Art Institute. 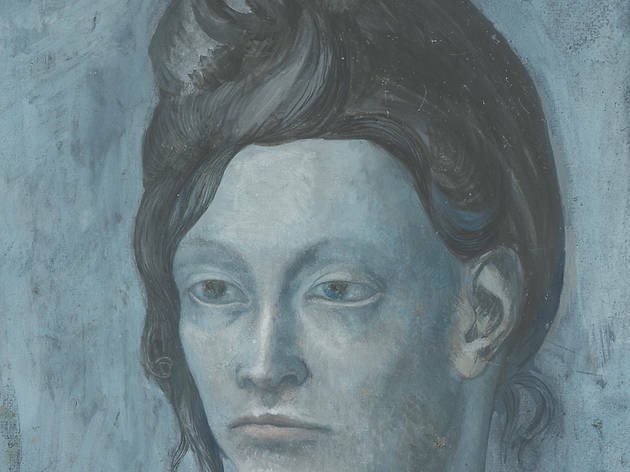 “It’s very likely the first [Picasso] painting acquired by an American art museum, and definitely the first put on permanent display, which was a pretty radical thing in 1926,” D’Alessandro says. 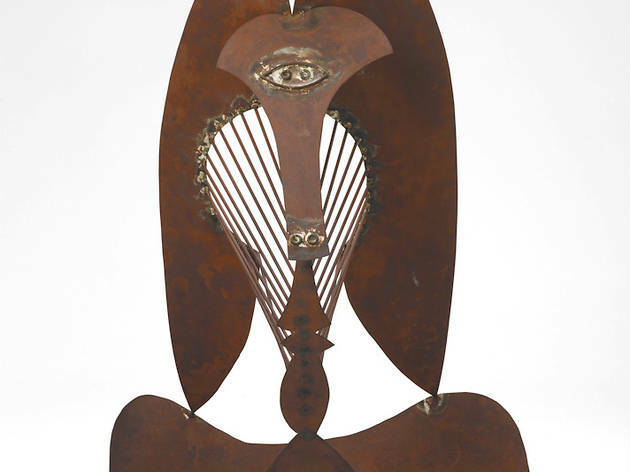 1940 The Art Institute, in collaboration with New York’s MoMA, presents “Picasso: Forty Years of His Art” February 1–March 3. 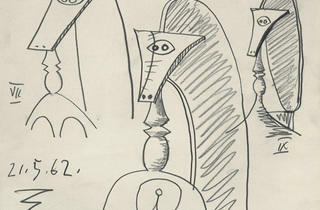 It’s Picasso’s largest exhibition to date and receives record attendance. 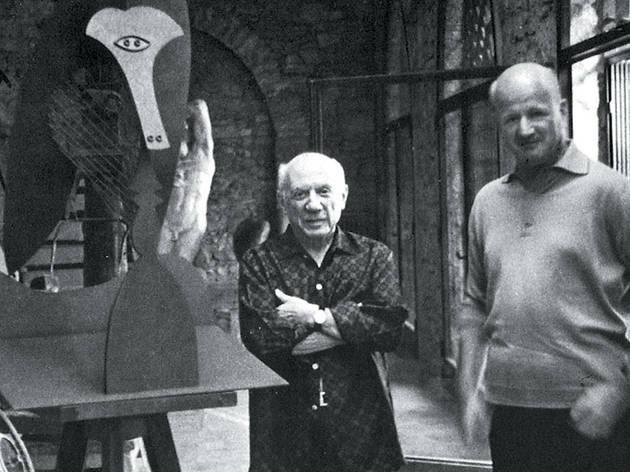 Hartmann visits Picasso in Mougins, France. He shows the artist photographs of Chicago and famous locals such as Ernest Hemingway. “Picasso said, ‘Hemingway is from Illinois? I taught Hemingway everything about bullfighting,’ ” Lo recalls. The artist accepts the commission. 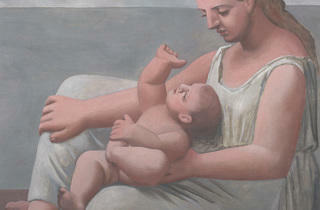 Hartmann continues to visit and bring gifts, such as a White Sox jersey, to keep Picasso interested in the project. 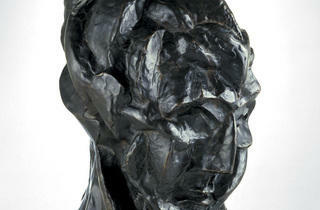 1966 During one of his visits to Picasso, Hartmann offers the artist a $100,000 fee for the sculpture. The artist turns it down, saying, “I want this to be my gift to you and the people of Chicago.” Private donors raise the $300,000 cost of materials and fabrication. 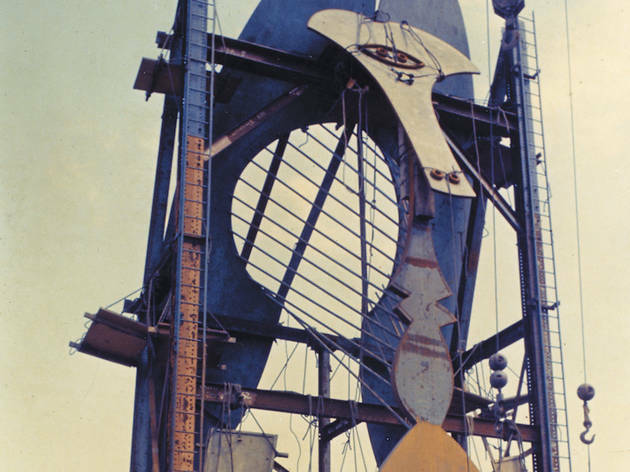 1967 On August 15, the 50-foot-tall Chicago Picasso, which weighs more than 160 tons, is dedicated before a crowd of approximately 50,000. Gwendolyn Brooks reads a poem, and the Chicago Symphony Orchestra performs. 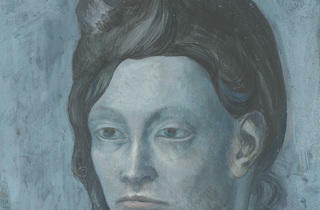 “Picasso and Chicago” opens at the Art Institute of Chicago Wednesday 20.